UPDATE: Panini announced that an exclusive base parallel - White Sparkle Prizms - would be available through the Panini Rewards site starting on 12/7/2015. Each three-card pack is obtained for 1,000 Panini Rewards Points with a max of three per household. The parallel covers the entire 300-card base set and features a white border and a SuperFractor-like design. 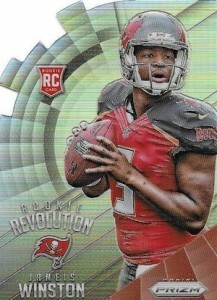 Although collectors got their first taste of Prizm Football for 2015 in a college-themed release, the standard product returns with 2015 Panini Prizm Football. 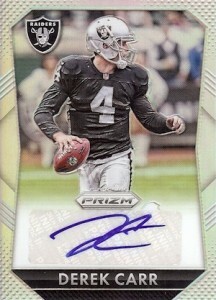 Promising a variety of Prizm parallels and two autographs per box, the popular line is again heavy on color. 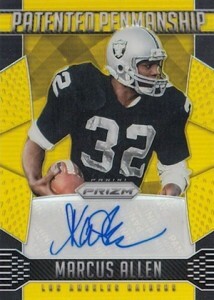 Building on the base set, collectors can find 13 different Prizm parallels. This includes Red, Blue, Green, Tie-Dye, Gold Vinyl (#/5) and Black Pulsar (1/1), among others. Violet Prizms are exclusive to Jumbo boxes. 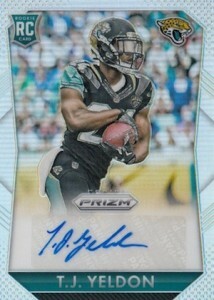 The main Rookie Autograph set utilizes the base design with a sticker signature and a variety of colorful parallels. The 100-card checklist covers the top options from the 2015 NFL Draft. Marking the first occurrence of signed relic cards for the brand, Prizm Pairs combine an autograph and memorabilia piece for key 2015 rookies combos. Premier Jerseys present another memorabilia choice, but they are not signed. Patented Penmanship honors the biggest current names with sticker autographs and there are also Gold and Black parallels. Multiple inserts add to the options, including Hall of Fame. 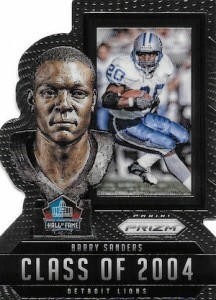 The die-cut design features a photo and HOF bust for the many of the NFL's former greats as well as several parallels. There are also signed versions. Other inserts include Air Marshals (2 per box), Fireworks (1 per box), Intros (1 per box), Helmets (1 per box), and Rookie Revolution (1 per box). 10 cards. View a detailed guide and gallery. 18 cards. Card #14 only found as Black parallel. 99 cards. No card #60. All subjects not found in each parallels. View the full spreadsheet for specific print runs. JS � We have no way of knowing when the checklist will be revealed. 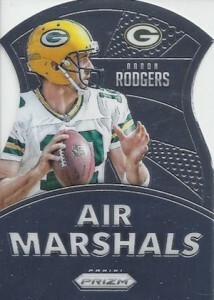 Panini normally does not issue them until a day or two before the release date. JS � Looks like it was bumped again. Now showing the release date as 11/13. Actually a good value product. Had alot of fun with the baseball last year. REALLY REALLY like that most of the rookie autos are numbered to some parallel /399 or less. Still think every auto should be numbered so we know that Antwan Goodley didn’t sign 2,000 while Amari Cooper signed 200 like Topps does for most it’s product like Topps Chrome. If a burger flipper can get $15 an hour why can’t we get a minimum auto limit of 600 in products? Set is a little big at 300 cards !! Could easily cut that down . The inserts are awesome!!! Autos are ok . But worth picking up a box. 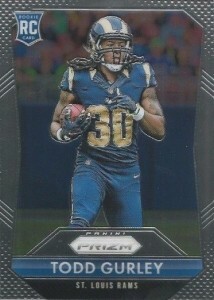 I see No future value in panini so collect for fun. 100 different rookies autograph list? No serial numbered on colored cards? What a major disappointment! 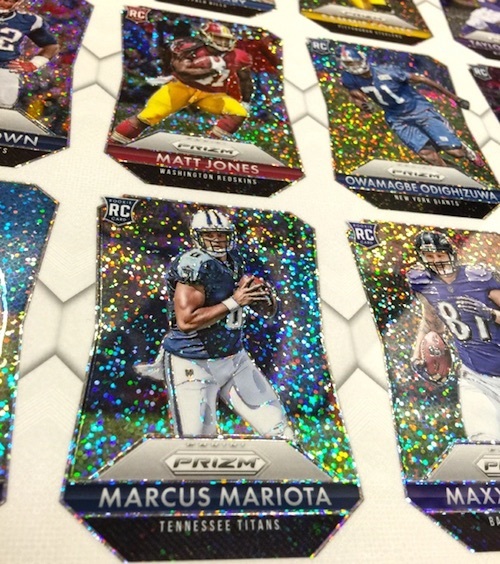 Hate to say I am disappointed in this year’s Prizm…. I’m not crazy about the base card design, a step down from last year in my opinion. I love the history and greats of the NFL, but I’m getting a little tired of seeing the same group of retired players over and over. I’m not one to judge a product’s worth or fun based on the hits, but I can’t help but feel let down when I bought 2 hobby boxes and got auto cards of 8 nobodies. 4 I never heard of, and only one, AZ’s David Johnson, has made any contribution this year….Meh! Parallels are strong, autos are weak. That’s my initial impression after picking up a few boxes. Unlike some of the other football products out this year, the auto checklist appears to be more watered down in this product. However, IMO that is more than made up for by the parallels. In the three boxes I bought, I got a 1/1 of Cris Carter (which I sold for $150 — twice the box value), and a /5 of Clive Walford. The third box, in which I didn’t get an SSP base parallel, I pulled a Demaryius Thomas Patented Penmanship 1/1 auto. I know I did well with these boxes, but 5 of the 6 autos I got were no-name rookies The low numbered parallels — much more likely pulls than in Topps products — is where I think Prizm will hold its value. I bought 3 booster boxes and not even 1 numbered to card. It was a purchase I wish I never made because even the inserts I did receive amounted to almost no value or cool factor. Dan, the blaster boxes in any product aren’t that good. 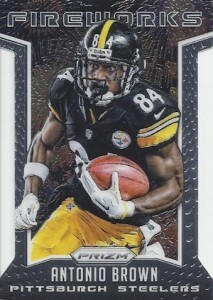 Topps isn’t any better than that, and that’s why I avoid retail for the most part. Randall: there are only 3 auto variations that aren’t numbered for most rookies: the base uncolored , the red white and blue retail, and the violet. That leaves 11 variations that are numbered. I’m actually digging this set this year. Out of the base cards, rookie autos, and regular inserts (minus the Lacy & Majkowski autos and the dual autos and the jerseys), I have 117 of the 190 of the Packers versions so far! That’s down quite a bit from 2014 (I have 327/400 excluding the Rodgers autos and the jersey cards), so I’m happy about that! looking at these online the base and prizm look the same to me. New to collecting, so please excuse, and I apologize for, any ignorance on my behalf. I have a question I was hoping maybe one of you pros could help me with. I looked online real quick but didnt find anything regarding my issue. Would really appreciate any help you guys could offer me! So I have been casually collecting this set, every time I go to Target I pick up some packs, both the regular pack and the jumbo pack. Today I was sorting the cards and putting them into a binder and I noticed I have some totally mis-printed, error filled, messed up cards (I have no idea what the term or slang for this is…would love to learn it though!). There are 4 “problem” cards. Each card has a reversed front & back. Meaning when you turn the card around from the front to back as you normally would, your looking at a upside down view of the back of the card. In addition, the front of each card shows one player, and when you flip the card around and rotate to correct the upside down view…you find a COMPLETELY different player on the back of the card. Both fronts and backs are as they should be, no other errors (that I can see at least), they just obviously don’t match up! So…my question is…is this rare? A common manufacturing/assembly error? And the most important question of all…are they valuable?! Thank you so much for reading all that, and for any responses you might be able to leave! Much appreciated! Love this set, but where’s number 60 on the 99 rookie auto list? It goes 59,61. For someone who’s attempting to collect the set, was curious what it was. Scottdenton � It’s a gap in the checklist. 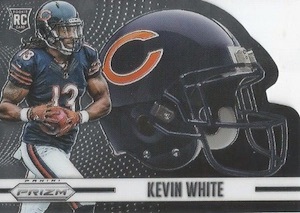 This is not uncommon for autograph inserts in Panini sets.